Combines the distinctive beauty of solid maple hardwood with the durability of cast iron. 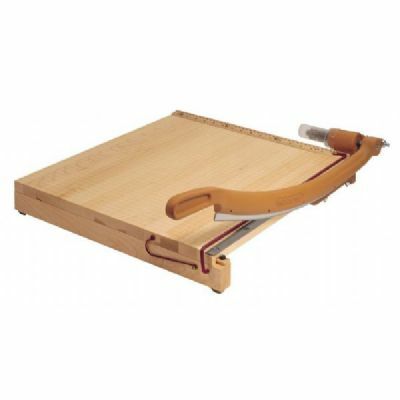 Features self-sharpening hardened steel blades, cast metal handle with tension spring to secure in any position, safety guard rail with handle lock, and a grid that is etched into the board surface at �" increments with ruler graduations in 1/16". Model 8T/B includes freestanding table base with storage shelf and drop-leaf trim shelf. Desktop models shipped fully assembled. Bases require assembly.